w is in and ready for your reading pleasure! The piece will contain spoilers and my own blood and tears. Read it below, and let met know what you think! credible drama in between. You are not going to believe with what went down. First things first, allow me start with the reunions that were made throughout. Many fans were looking forward to these, and took over social media with the trends, ‘Bellarke Reunion,’ and ‘Heda is back.’ Nothing like fantastic promotion for our show! The first reunion was a family affair. Okay, it was not exactly a traditional one as you have an unrecognized man holding you in a death grip, and your heart is probably pounding in terror. However, all of that is quickly forgotten when Monty is back with his mother. He is overjoyed, as any child would be if they became detached from their parents. Soon enough, that too is diminished when Monty finds out that his father didn’t make it. Mr. Green died a hero though as he saved four children from the hands of the Ice Nation. These Ice Nation people? Yeah, I certainly don’t want to get ‘cold’ with them, if you know what I mean. And, then Pike has the nerve to start a full Grounder massacre simply because of one clan. Does he only see the black and white? There are many good Grounders, but no, he just a stubborn fool to see that. That would only add fuel to the fire, and what little hope for peace the Skaikru and Trikru has will be shattered. Back to the ‘Momty’ reunion. There is absolutely no way to get over the death of a parent, and I hope that Monty will honor his father by being a grand hero as well. Okay, I may be getting a little cliché, but that is how I view it. I am looking forward to see how Monty and his mother will interact this season. Time will only tell. The brotherhood of Lincoln and Nyko always amazed me. On tonight’s episode, it rekindled my amazement. Their devout loyalty is something to be learned from. Nyko has mutual respect for the Skaikru, especially for Abby. The awe, gratification, and respect ensued for her when she saved Lincoln’s life from the effects of withdrawal in season two. Since then, she can do no wrong in his eyes. Now, Lincoln is reciprocating as he aides Nyko alongside Abby, and is willing to donate his blood to him so Nyko can be spared. Those ruthless Ice Nation warriors got Nyko as well. Jackson, Abby, Lincoln, Octavia, and Jasper transfer Nyko to Mt. Weather as it is far more advanced and equipped with medical equipment and supplies, and They cannot give him the blood type that he needs. Even though that the Skaikru are universal donors, Nyko has a rare blood type that must be precisely matched. At the Mountain, there is plenty of this blood type. Nyko is saved, and he and Lincoln made a pact to inform their people that Mt. Weather is a safe place now, and no longer under evil. “Places are not evil. But people are.” Great speculation Nyko! So, it was decided then Abby and Jackson would use Mt. Weather as a hospital, despite all of the war drama that is going on. Illnesses and injuries cannot wait, and if proper and advanced medical is right there, you grab it. A lot more lives will hopefully be saved due to this choice, if it doesn’t affect the alliance. onset chemistry of Octavia and Jasper while they are in the warehouse inside Mt. Weather. There is something magical about it, yet you cannot bottle it up. All of their scenes together are very special, and if you miss them, then they are gone forever. Jasper is going through terrible rages from PSTD, which is very real, and he is wrecking everything. Then, he finds Maya’s favorite painting, and he just pours out his grief in a much calmer way. You can tell that Jasper truly loved Maya, as emits such powerful emotions, and shares them with Octavia. She consoles him that it will get better, and that she will always be there for him. My heart is just in pieces for Jasper, and maybe Octavia will be his guiding light again as she was in the first season. for last, and the other part is mental and anticipation buildup. I am going to give a big round of applause of how these last two reunions interplayed, and how well and tight they fit into tonight’s storyline. 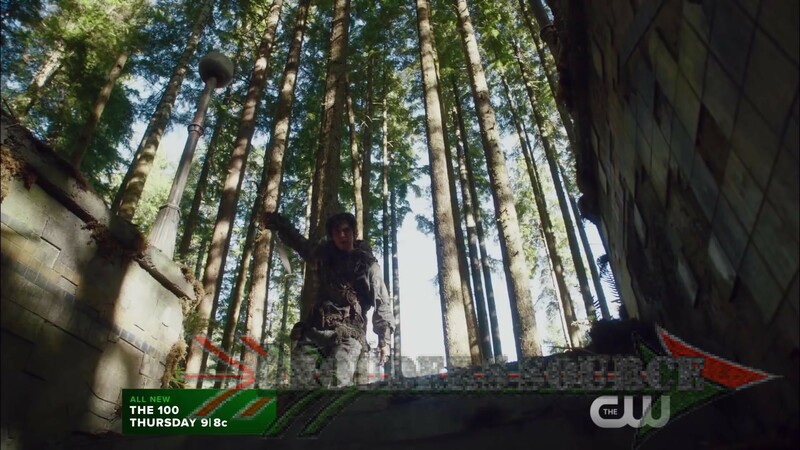 Near the end of the episode, Lexa rises from her throne at the Polis Tower as Roan, the exiled bounty hunter Prince of Azgera (what a title), brings in Clarke, the great Wanheda. Lexa knew it was Clarke along, but I do not quite agree with her tactics of bringing her back. She seems to have a look of apprehension across her war paint free face, but it dismisses as she composes herself. Remember, this was the girl who betrayed Clarke at the Mountain, and now maybe she is seeking Clarke’s forgiveness. I am getting that vibe here, but Clarke is not one to forgive and forget. She is a woman of her own mind and strength, and she will not bow down to anyone. Clarke throws a sensational anger fit to Lexa, and spits hard in her face, and yelling out obscurities. She even bellowed out, “You b—-! I’ll kill you!! !” and “You wanted the Commander of Death?! “You’ve got her!” To be honest, I was expecting this kind of a reaction from Clarke, to Lexa. Apparently, Clarke loved and somewhat looked up to Lexa, and to have her stab her in the back and betray her, was just too much. Do not get me wrong, I love Clexa, as they are one of the very unsurpassed duos in television. And an open door for not letting LGBT be an issue. Alycia Dabnem-Carey’s and Eliza Taylor’s acting talents explodes when in interaction. They say that blood and oil cannot mix, but in this case, they most certainly do. So, will Clarke forgive the girl who left her for her own pride? Something tells me that she will, but for now, I am afraid it is not going to course in that direction. on this. When he finds Clarke in the underground substation, Bellamy is so beaming and relieved to see her! You cannot deny this, even a non-shipper will acknowledge this. He even pushes a few strands of her now blond hair back, and smiles. Again, the hero of dreams! Unfortunately, their reunion is short lived as Roan comes back, and is enraged. 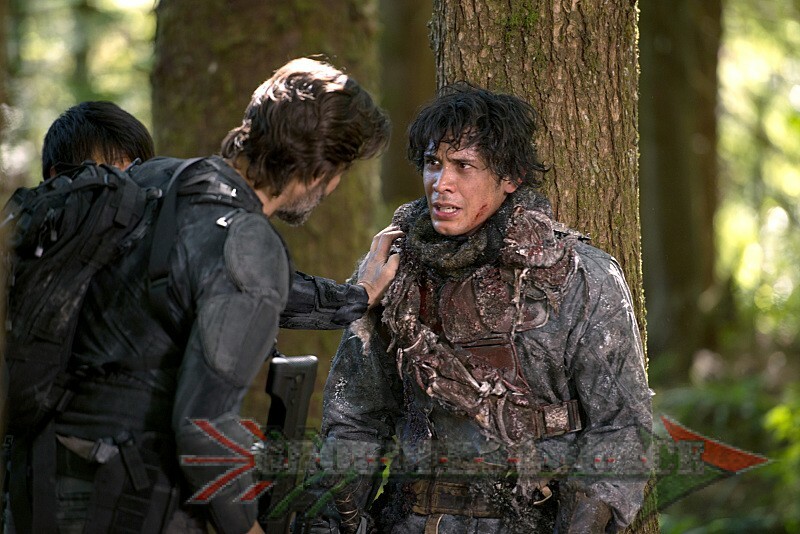 Clarke pleads and pleads with him not to hurt him, and for a brief moment, Roan considers this. He just gives this little sick smile, and stabs Bellamy in the thigh. It was like he was enjoying it. 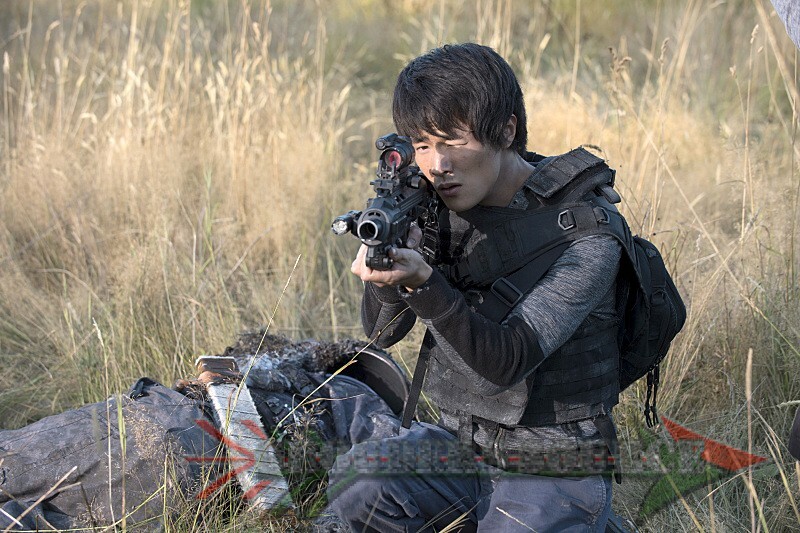 He chases Bellamy out of the station, and even though that he is badly wounded, Bellamy is determined to bring Clarke back. Even with all that he has encapsulated, he is still willing to do whatever the hell it takes to bring her back. He is even trembling and there are tears in his dark eyes when he states, “WE CAN’T LOSE CLARKE! WE CAN’T LOSE HER!” Hopefully, Monty will think of something ingenious. My deprived heart is in a casket now! If that isn’t true commitment and dedication to a person, then I don’t know what is! Bellamy, please bring Clarke back! The funny thing about this is that Gina seemed to be pushed out of his mind. It was for a great reason, but I am slowly getting adjusted to his girlfriend. But the crazy feels I got after I watch the Bellarke reunion. is not realistic, and I have a feeling that this is not going to go down well. Hey, I would love to live a life without pain, don’t get me wrong, but that is simply not plausible. Well, so how can that be? I think the ALIE is planning to end the world again, and Jaha is her puppet. He is actually the only one going along with it, naively at that, and it a very forbidding thought. What if ALIE controlled everything that has occurred, and we just do not know this? It is a pretty farfetched idea, but anything is possible. I love the blossoming romance between Murphy and Emori. Tonight, Murphy saved her life, and this is something that is so uncharacteristic. Plus, Emori is such a smiling cutie, so how can Murphy not resist her? 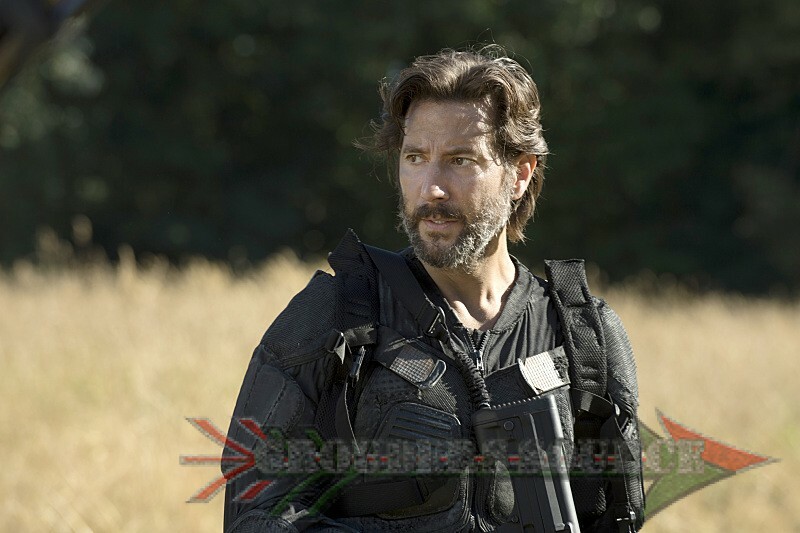 Maybe Murphy being with Jaha done him good, and I hope that he and Emori will continue their journey together. I really want to see what will unfold. merit. Roan felt that this was cowardly, but sometimes you need to be alone with your thoughts, and figure out your path. Roan is one of those characters that you want to seek more about, and the more that you do, you wish that you didn’t. Yet, he may even surprise you! The entire cast all done a tremendous and out of this world (pun intended) deliverance and performance tonight! I was blown away, and this is one of the many reasons of why The 100 is phenomenal. I am on the edge of my seat every week, and to witness surrealism and ground breaking survival is an excellent experience and a penetrating adventure! That’s it for this week’s recap-review! What did you think of Wanheda, Part Two? 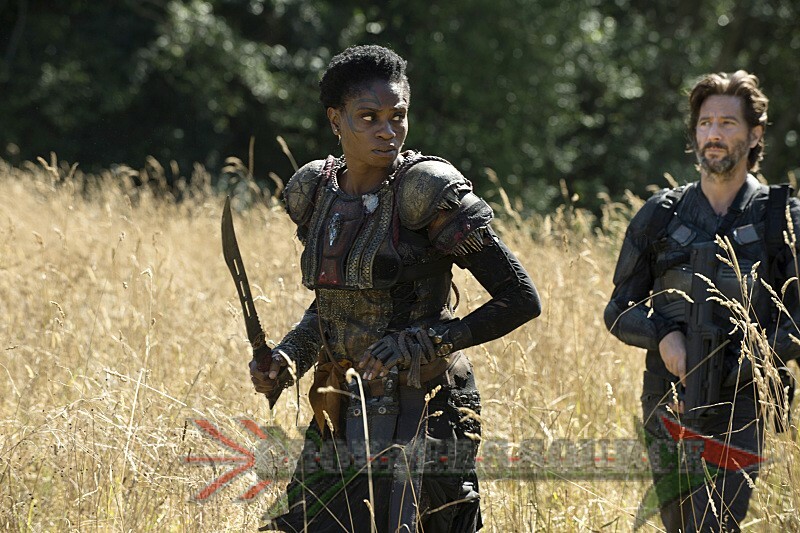 Share your thoughts in the new comments section, or tweet them @GroundersSource!